Pinch! Ouch! 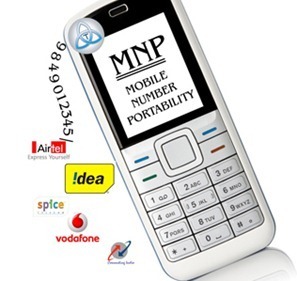 Oh yes, the much awaited Mobile Number Portability (MNP) is finally here after a series of regulatory delays. But, reports provide that there could be a very low churn rate in terms of subscribers looking to ditch their current telecom service providers. At this juncture, it does make sense to discuss a few reasons which might prompt you to switch between service providers without changing your number. Before that, I would like to point out that Vodafone is the best operator to be with if you’re not satisfied with your current operator. Well, that’s just my opinion and not any of those survey findings! 1 Network Coverage – It should follow you! 2 Quality of Service – They should understand you! 3 Tariff Charges – It should be enviable! 4 Value added Products – More than a helping hand! 5 Friends and Family – Always remain in touch! 6 3G Services – Speed does matter! 7 Invitation? Go for it! Network Coverage – It should follow you! This reminds me of the innovative Hutch Dog ad campaign which just follows you everywhere. So, network coverage should certainly be on your top priority list to determine your decision as to whether you should stick with your current operator or not. At times, it could be possible that the network of a particular telecom operator X is just fine. But, since your office or home is situated in interior corner of the building, the coverage can not reach you. In such a case, you are left with no other option but to bid ‘good-bye’ to your current service provider irrespective of its service quality. However, before you ditch your current mobile operator; do ensure that airwaves of the service provider with whom you’re looking to convert into does reach you. Quality of Service – They should understand you! Once you’re able to access network coverage, quality of the service provided by the Telco is of utmost importance. It service aspect includes state-of-the-art service centre with advanced customer care department designed to provide superior customer management services. While the tele-density is growing at a rapid pace, it becomes significant to determine whether the service provider has ample call centers to deal with customer complaints and resolve their problems. Tariff Charges – It should be enviable! No points for guessing what the fuss was all about in the telecom industry for last couple of years. Yes, it was regarding ultra-competitive tariff rates. Each telecom operator was trying to pip other in terms of introducing 1 second plan to ½ second plan and even fraction-of-a-second plan. Needless to say, tariff plans offered by your current mobile operator should be comparable to the ones prevailing in the market, if not lower. The days of monopoly in the wireless segment are way behind us. Make every rupee count. However, if the difference in tariff structure is negligible, better stick with enhanced value-added service being provided by your operator. Value added Products – More than a helping hand! Mobile value added services are innovative set of mobile applications serving beyond basic voice and messaging services. These include high-end services such as entertainment (chats, video downloads, ring-back tones), gaming, multimedia content delivery and conferencing services to name a few. Internet through GPRS / EDGE is the latest craze among youngsters who love to dabble on social networking sites to interact with their online friends and colleagues. If you’re looking to axe your current operator and shift to some cost-effective new entrant in the industry, be sure that they provide good user-experience for such premium value-added services. Friends and Family – Always remain in touch! Yes, almost every operator has some package or scheme revolving around economical calls routed to the number of your near and dear ones. Most telcos provide facility of calling at cheaper rates on particular set of mobile numbers on paying certain subscription charges. Other things remaining constant, you can also compare between such packages offered by various telcos; as these are the numbers you are most likely to frequently dial to stay in touch with your family and friends. Mind it; it can save a substantial chunk of your bucks. 3G Services – Speed does matter! Most of the larger telecom companies have spent big fortune on winning crucial next generation 3G airwaves. The new 3G technology will ensure fast-paced internet connection at broadband speed even while on a move. Most of the telecom operators are gearing up for a quick roll-out of these premium services in February. Those geeky subscribers who are addicted to mobile internet might do well to wait a bit until the third generations services are up for the grabs. Once rolled-out, compare the service and make your decisive move. MNP is launched. Now wait for the tussle. Well, who knows? It might just benefit you with an extra bit of incentive in your kitty. We just saw how telcos fought between themselves and brought down tariff structures at depressingly low levels. Ultimately, it benefited none other than you and me. You never know if these telcos have more to offer us as a last leg of fight to poach high-end subscribers from each other. Personally, I use Vodafone and am quite satisfied with the overall service. So, to me, MNP is of little significance from the point of view of ditching my operator. So guys, just dump your current service provider. But, do ensure that the operator actually deserves a punch. Or else, you will eventually end up in wrong hands! Right to Education! For many its just that, a RIGHT! Letter to Mobile Network Operators! Yes, this is very good service from operators. everyone can change operator if he dislikes and as well as they can change operators without any new number. Viral, every point is valid in the post. But then, should have been really good if (as i thought so) you could bring pros & cons of every Service Provider. Just my personal opinion. Since, that was not viable I could not compare between the service providers. So, I settled for writing on various common features and schemes offered by all the major telcos.You can definitely co-relate these elements with the services provided by your telecom operator. Is that fine? Exactly, its a clear win-win for subscribers. They certainly have got a leg-up in this case and one can, indeed, say that Consumer is the King, isn;t it? I personally thing it wouldnt affect the big players..The smaller and newer ones may get affected but if you see in most of the countries where it has been introduced, it hasnt succeeded. And even if you see you cant currently go beyond your circle. But yeah it does give the customers a voice that they can change their network as and when they want! That’s a good point made. But, in my opinion it would all come down to negligible difference after all the fuss behind implementation of MNP. The equation will be something like ‘lose some, gain some’ approach. The telcos will lose some subscribers on account of poaching from other service providers; at the same time they might as well gain some from the same methodology. In a nutshell, there might not be a big impact from the net churning amongst subscribers. That’s how it has panned out globally. Much awaited MNP is finally here. Telcos are doing much to retain its customers. Thanks to MNP at last the user voice is heard now. We’ve all seen as to how far these operators can go to poach other service provider’s customers. But, as time passes they will gradually realise that retaining customers is even more tougher task than poaching other’s subscribers.